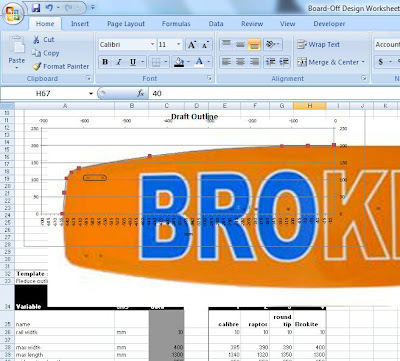 I discovered a neat way to trace the outline of the boards and get the parameters into Board-Off (the MS Excel Kiteboard design tool I've been working on) using pictures of the baords from the manufacturers web-sites. It turns out that the excel lets you put an image behind the graph and by making the chart area transparent the Board-Off cubic spline drawing functions lets you trace the outline by tweaking the control points for the splines used to make the different section of the board. Here' a couple of examples. Than, they should put concave and rocker details and there u go:) Nice! Cheers. At the moment it only produces the rocker jigs for continuous rocker profiles but I'm going to update it so that you can't input any rocker profile you like. Then the plan is to throw put it out there as an open source project to turn it into a desktop application. should this work, and I still not get all the points of the software, you have saved me a lot of time. 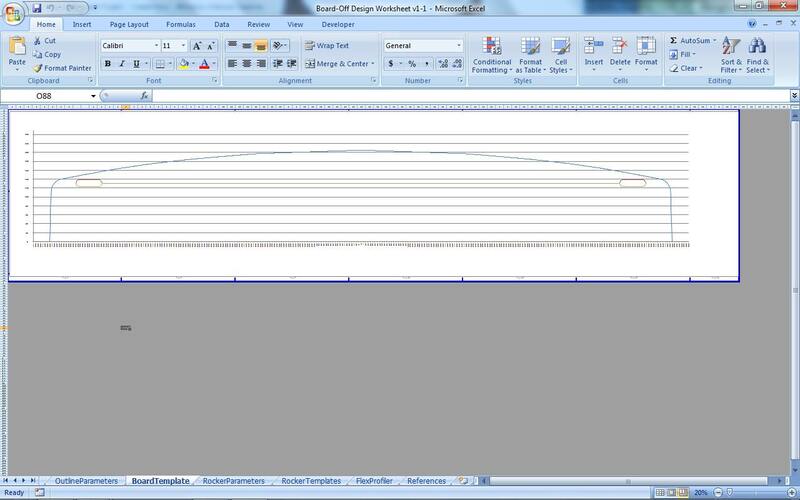 At the present I am working to get my hand on the outline of a blunt II - I have a picture and I tried every workaround. I try to use your software on libreoffice, because I don't use windows. Let you know about the progress. Hi Kosta. Great to hear from you. Its always a real buzz to hear from others sharing a common passion for kiteboarding and kiteboard building. I'm very interested in resin infusion too so I will definitely check out your blog.So far I have only tried vacuum bagging and need to get my set up a bit better before I try RTM. I haven't tried LibreOffice before but you're post and a post from some others prompted me to try it in OpenOffice. There are a few adjustments required as the Range object and the Application object used by MS Excel is implemented differently in OO. However, it seems to be an easy work around. The first function you'll need to fix is the SPLINE function in Module1. This is the reason that no outline data appears. I just tried it now and it worked but there are a few other conversion bugs to iron out. I'll put the open office version up when I'm done. 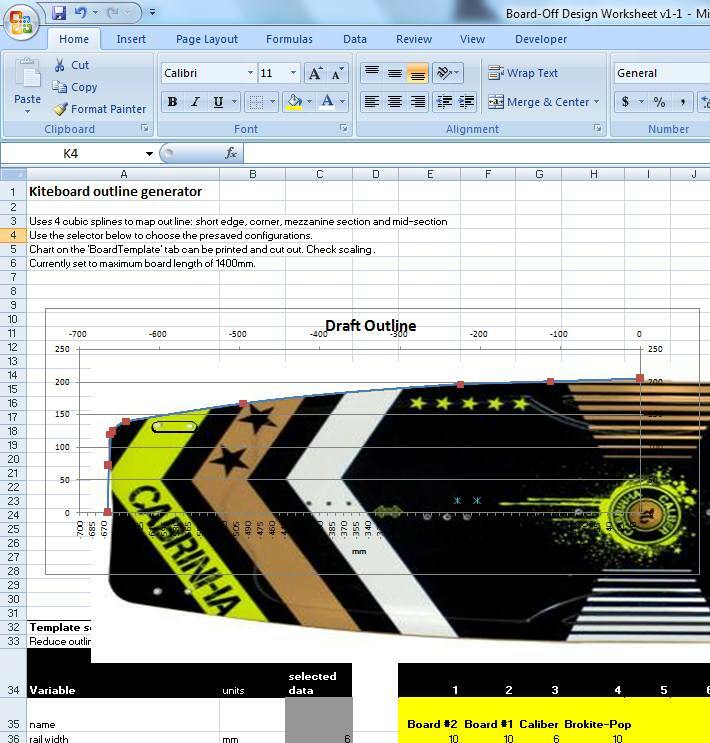 Using the image behind the chart works in MS Excel cause you can make the chart transparent by setting the chart and chart area = 'NONE' and then positioning your image. Becasue to not let the aspect ratio of the image change when you resize it. If you like send me the picture of the blunt II and I can trace it on my machine. I can send the dxf file to you so you can play with it further. OO seems to be a dead story. From what I have heard most of the developers switched over to libre office. 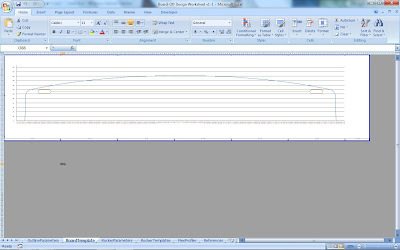 My Excel skills are on a range from 10 down to 0 at 1. I can start the programm without accident, but I will check into that. I have send you the picture by e-mail, it seems like you have less problems then me and I have the chance to start milling next week.